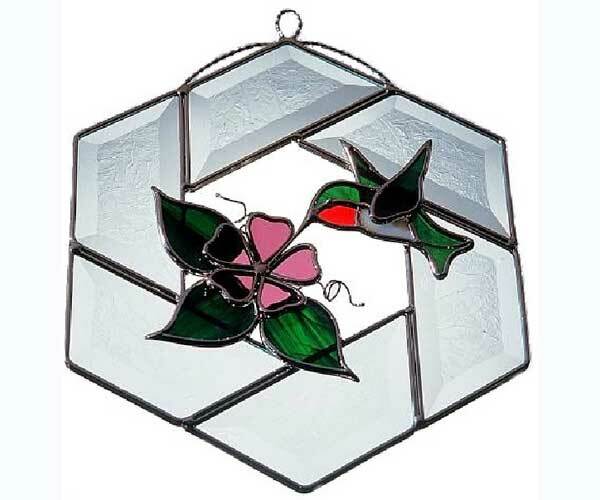 Depicting a Hummingbird drinking nectar from a flower, this handmade work of art is a beautiful addition to any sunny window or patio! 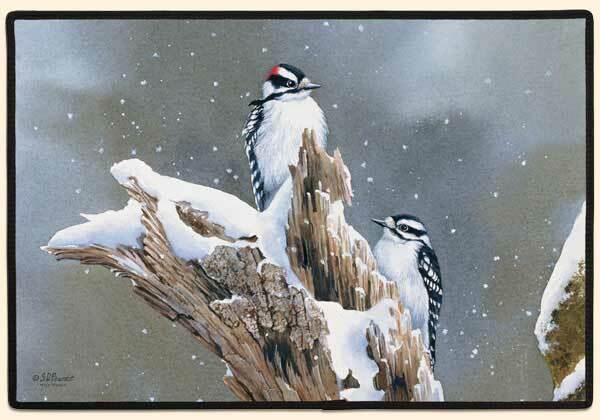 Panels measure about 8" wide by 9" tall. 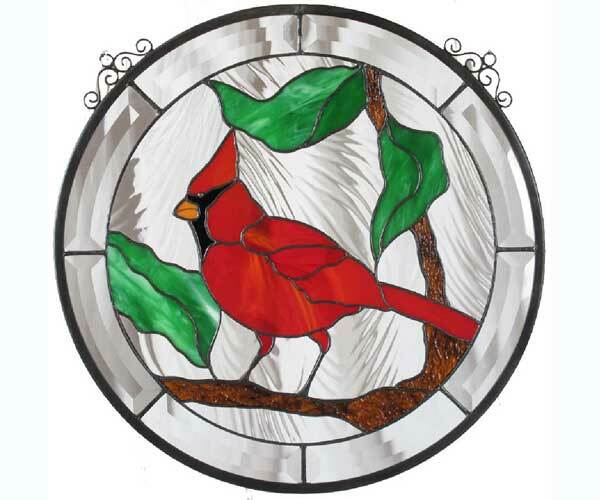 Handmade of real stained glass and nickel plated so they will never fade or tarnish. 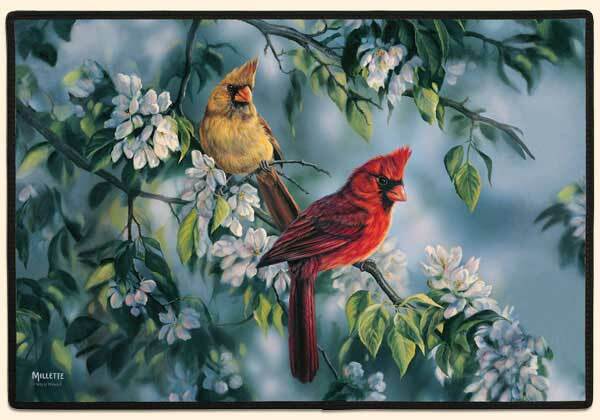 Depicting a Cardinal setting on a branch, this handmade work of art is a beautiful addition to any sunny window or patio! 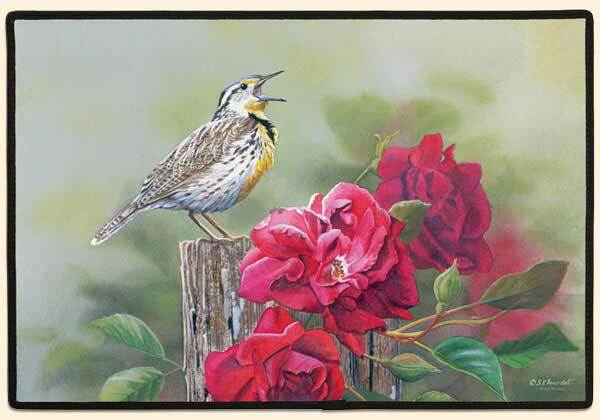 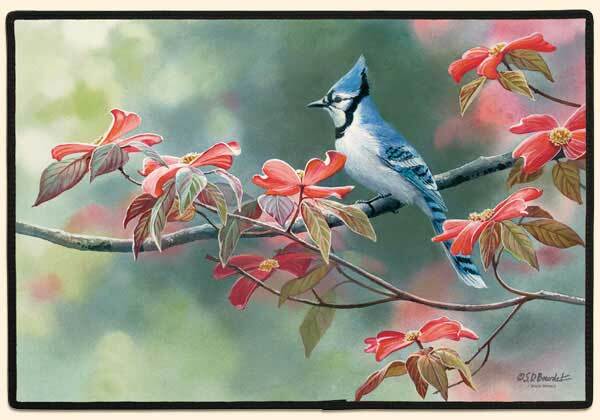 Acu-rite has compiled an impressive gallery of nationally renowned wildlife artists. 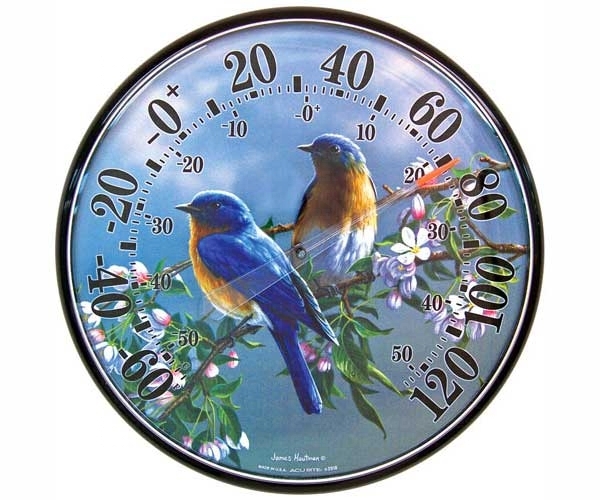 This exclusive licensed art work has been beautifully captured on their easy to read, durable, and attractive thermometers! 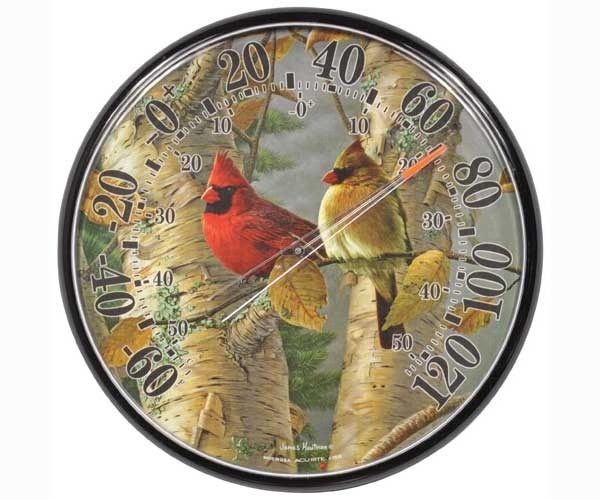 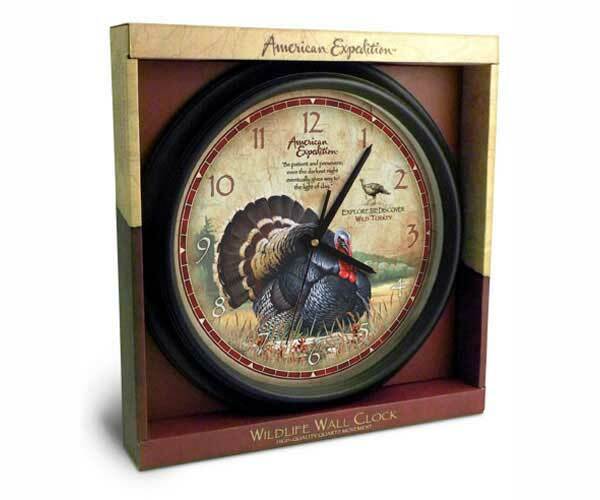 Wild Bird Wall Clock-Choice of 4 Different Styles (Birds) $39.99 ea. Perfect for living rooms, kitchens or dens, these large, beautiful wall clocks by American Expedition make wonderful gifts for wild bird lovers, or, grace your own home with one of these lovely timepieces! 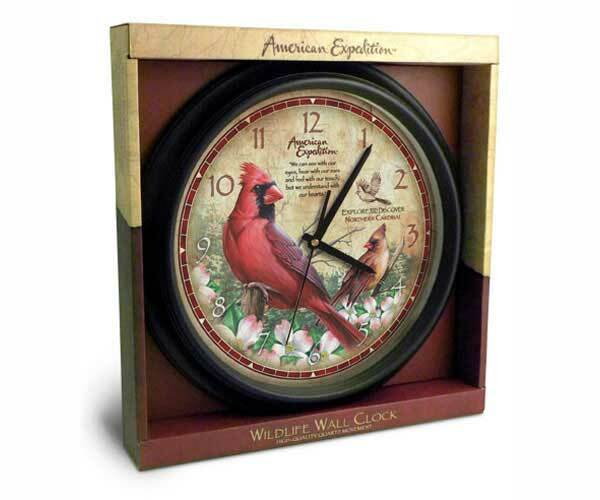 Clock is for inside use only. 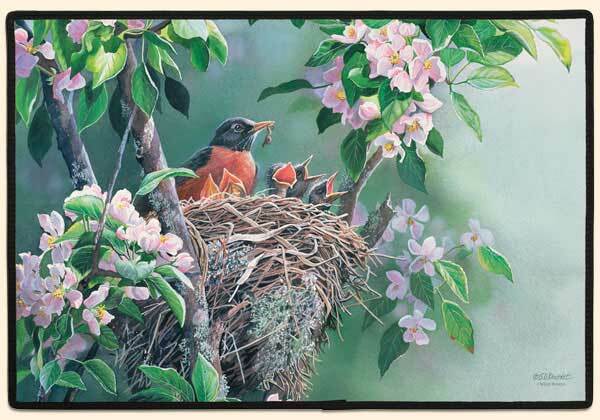 Wild Birds Doormats - Choice of 10 Different Styles (Birds) $39.99 ea. 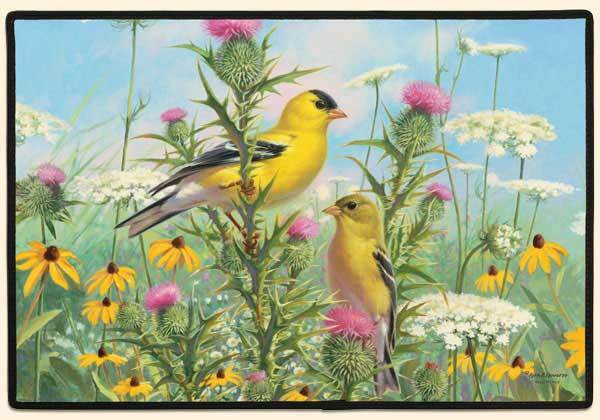 Beautiful, fade resistant doormats by Fiddler's Elbow make perfect gifts for wild bird lovers, or, you can welcome your own guests with your favorite bird theme! 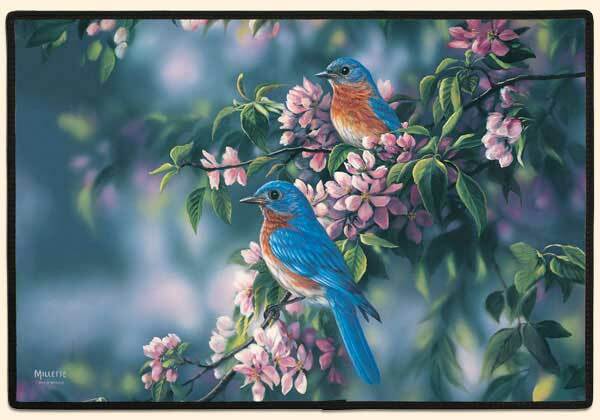 100% Polyester face, permanently dye printed & fade resistant. Non-skid rubber backing, durable polypropylene web trim. 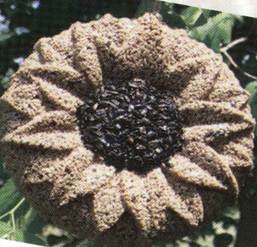 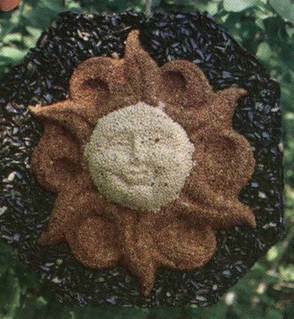 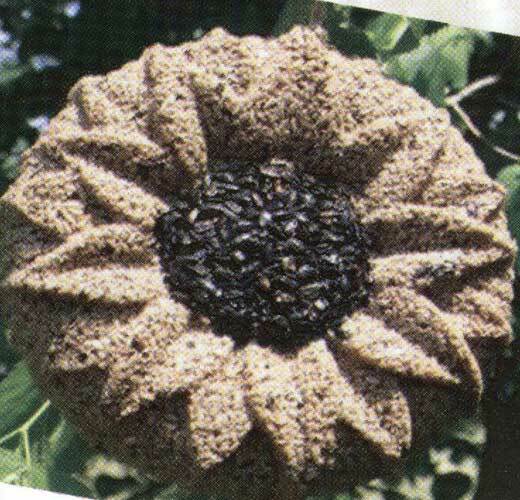 Measures 27" X 18" X 1"
Hung from a tree to attract birds, this sun shaped seed cake wreath is a beautiful decoration that provides a great source of energy for your avian friends! 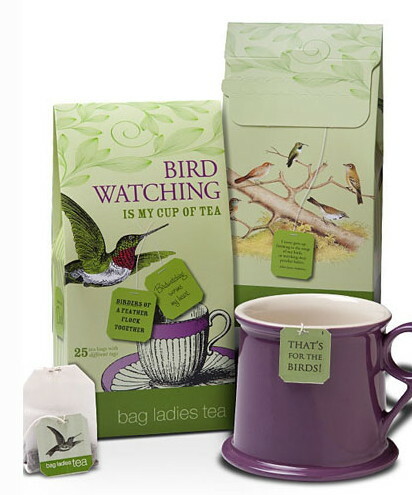 Bird watching is My Cup of Tea contains 25 teabags individually tagged with birding quotes from the world over made with the finest English Breakfast tea. 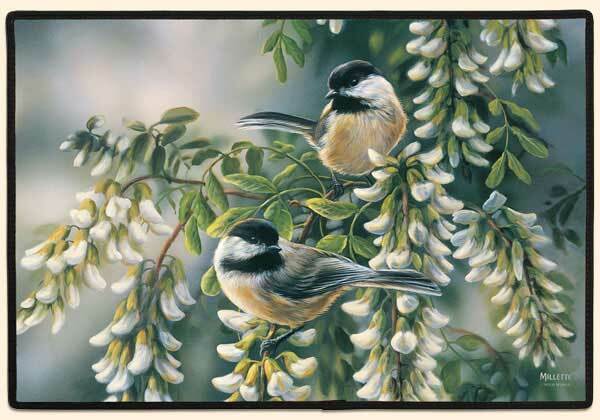 There is no better company than a steaming cup of tea as we watch our fine feathered friends feast, fly, chirp or sing. 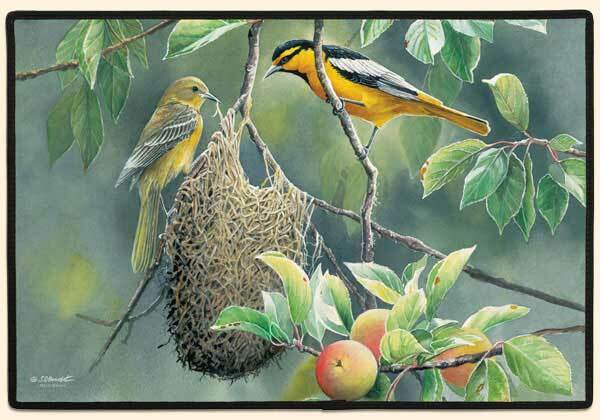 Whether traveling to remote bird destinations or discovering new species in your backyard, a soothing cup of tea makes birding more pleasurable and the memory more enduring!